What will your guy don for the big day? 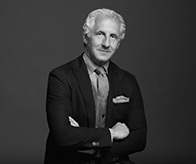 "The hard and fast rules have gone by the wayside," says Joseph Abboud, creative director at Men's Wearhouse. "A wedding is a style day for everyone, and you don't want the groom's tux to feel like it came out of a vending machine." We asked the designer to break down the options. Above all, make sure the clothes fit. "It's all in the tailoring," says Abboud. "When you feel uncomfortable, you probably look uncomfortable." If a slim cut isn't right, don't force it. There are plenty of other choices, and no one wants to watch the groom grimace all day because his pants are too tight. "No matter what else he wears, I like a white shirt," Abboud says. "It always looks fresh." The difference is in the details: Wing or spread collar? Barrel or French cuffs? Pick whichever you prefer, then add a pop with a bright tie or vest. 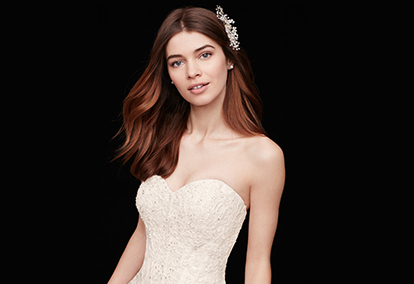 "The dress sets the tone for the rest of the wedding," Abboud advises. "When the bride decides what she's wearing, the groom should jump into action." He doesn't actually have to see the all–important garment, of course—just take into account the level of fanciness, hue, and other defining characteristics that could help you coordinate. "Think through the entire wardrobe down to the handkerchief or pocket square," he says. 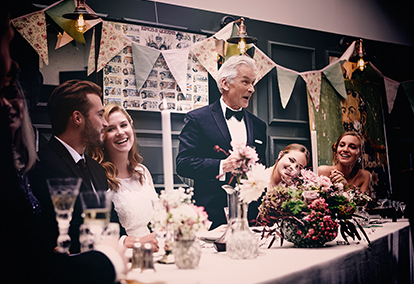 Depending on the groom, a hat, sunglasses, fun socks, or even sneakers might be the perfect touch, but do a gut check—how will the wedding photos look in 20 years?—to avoid overdoing the accents. 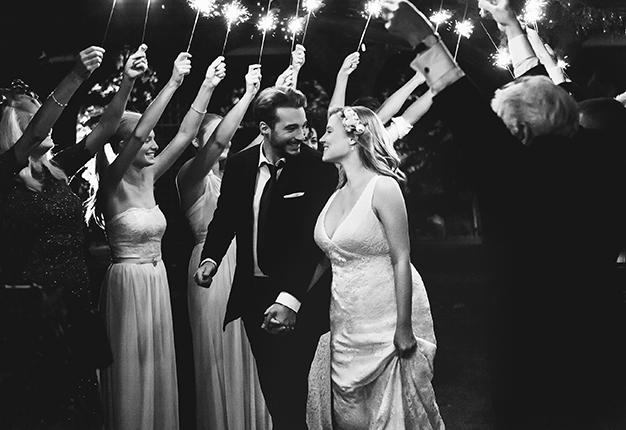 "I love being able to distinguish the groom from the groomsmen," Abboud says. Go for a jacket or vest in a distinctive shade, a straight tie versus bow ties for the rest of the party, or an alternate lapel (the groom in a peaked version and everyone else notched). "A black tux is beautiful and timeless, but navy blue is a way of doing dark and formal with a twist on a classic," the designer says of this red–carpet favorite. For warm–weather events, lighten up with an ivory dinner jacket. 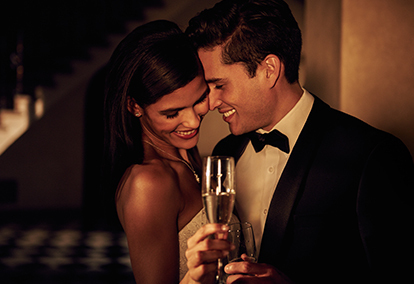 Enter for a chance to win $500 in gift cards for tuxedos and more for your wedding plus get $40 off tuxedo rentals for your wedding party from Men's Wearhouse.